To reduce risk, you need to recognize objective hazards and learn how to avoid them. If you recognize the possibility of rockfall, for instance, you will wear a hard hat and take extra care to prevent knocking rock loose with the rope or with your body. If you recognize an avalanche-prone slope, you will follow the correct procedures to avoid it and will know what to do in the event you or someone in your party is caught in a slide. If you see a white-out or other extremes of weather developing, you will have the training and equipment to deal with it. It's simple to recognize the objective hazard of high exposure—that is, being in a steep and exposed place. There are exposed places where you can sit or stand without serious danger, but loose footing or a moment of inattention can bring tragedy. 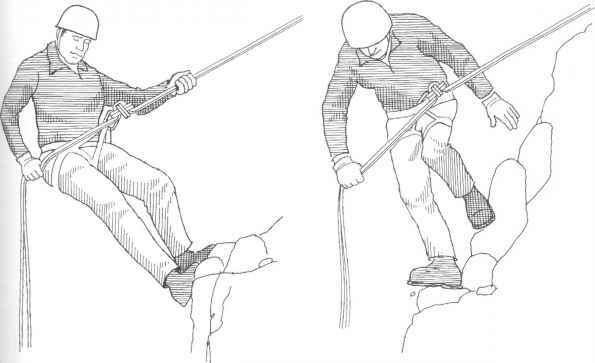 The safest response to exposure is to rope up so you are on belay or tied into the mountain. If you are the belayer, estimate the direction and magnitude of any force you may have to absorb if your partner falls and set up an anchored belay station where you can handle such a fall. It's not so easy to recognize the hazard of a crevasse that is hidden beneath a layer of snow. But if you have studied glacier travel and learned the external signs of hidden crevasses, you will know when to rope up and how to choose routes that minimize the danger of falling into one. You and your companions also will have the training and equipment to carry out a safe, efficient crevasse rescue if that becomes necessary. Help fortify yourself against objective hazards by always carrying the proper clothing, food, and equipment, because any trip can bring unexpected danger or an emergency bivouac. Protective gear, whether it's for technical climbing or bivouac survival, doesn't do any good if it is left at home, and it cannot often be replaced merely by nerve or skill. 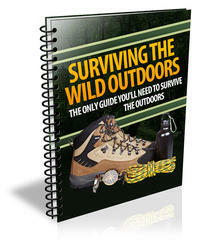 You can use this book as a basic guide to proven gear and techniques, by studying the chapters on the various types of climbing and wilderness travel in addition to the specialized chapters on clothing, equipment, camping, navigation, knots, belaying, and rappelling. Then work to develop the experience and judgment to make the right decisions at the right time in order to avoid what are generally called accidents.